CBI: def. Grand Canyon, 77-63 (first round); lost to Coastal Carolina, 109-91 (round of 8). Seniors losing: None. The seniors that West Virginia had, including F Esa Ahmad, did not finish the season as they left the program. F Wesley Harris was also dismissed. Any One-and-dones or early entries? 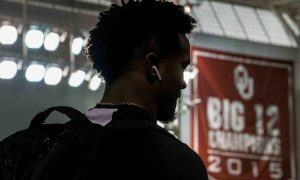 : It’s possible F Sagaba Konate could decide to bolt for the NBA and not risk another injury in a final season of college basketball. But it’s unclear if he did enough in his short time on the floor to prove to NBA scouts that his game had progressed. Transfers: James Bolden announced his intention to transfer from West Virginia late in the regular season. He’ll do so having received his degree from West Virginia. Freshman guard Trey Doomes announced his intention to submit his name for the transfer portal. Also transferring are Lamont West and Andrew Gordon. Top players returning: F Sagaba Konate (13.6 ppg, 8.0 rpg, 8 games), F Derek Culver (11.5 ppg, 10.0 rpg), G Jermaine Haley (7.1 ppg, 4.1 rpg, team highs in steals with 37), G Jordan McCabe (5.8 ppg, team-leading 88 assists), F Emmitt Matthews Jr. (5.4 ppg), G Brandon Knapper (5.0 ppg). The player you don’t know about: Well, you kind of know him already. F Emmitt Matthews Jr. only cracked the starting lineup in February and made 12 starts. But his 5.4 ppg for the season shouldn’t be confused with a player that isn’t improving. 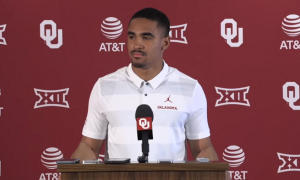 All you had to do was watch his bravura performance against Texas Tech in the Big 12 Tournament, in which he scored 28 points, 8 rebounds and 2 steals. Head coach Bob Huggins said after that game that Matthews is just starting to find his place in this offense. Imagine what an offseason can do for the 6-foot-7 forward? Recruits already in the house: C Oscar Tshiebwe, 6-foot-9, 250 pounds, Kennedy Catholic (Hermitage, Penn. ); G Miles McBride, 6-1, 185, Archbishop Moeller (Cincinnati, Ohio). It’s a small class but Tshiebwe is a huge get for the Mountaineers. He is a McDonald’s All-America selection. McBride fills a need at point guard, as Huggins spent the entire season looking for a quality point guard and, while Haley had a nice February and March, the Mountaineers are still looking for their new Jevon Carter. 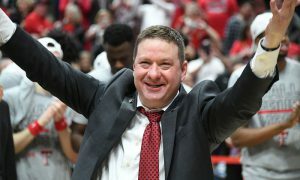 With some players transferring out of the program, that should allow Huggins to hit the recruiting trail the next month. Summarizing the season: We knew that the Mountaineers would smart from the loss of Carter and Daxter Miles Jr., both of which graduated. But we didn’t anticipate this fall. Konate’s injury didn’t help matters at all, as he missed most of the Big 12 slate (he was available for the Big 12 Tournament but didn’t play). 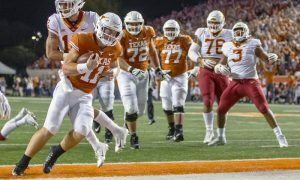 The Mountaineers were listless in January, and when I covered the TCU game in Fort Worth Huggins talked openly about how his team hadn’t bought in. We found out soon after who those guys were, as Ahmad and Harris were dismissed from the team. When Bolden was injured, Huggins went full-on youth with Culver, McCabe, Haley and Matthews in the starting lineup with West and he found his ride-or-die guys. 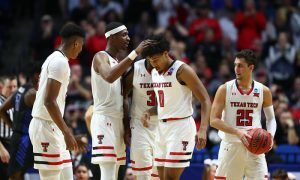 The Mountaineers were better in late February, beating Iowa State at home, and then upset Texas Tech in Kansas City in the Big 12 Tournament quarterfinals. 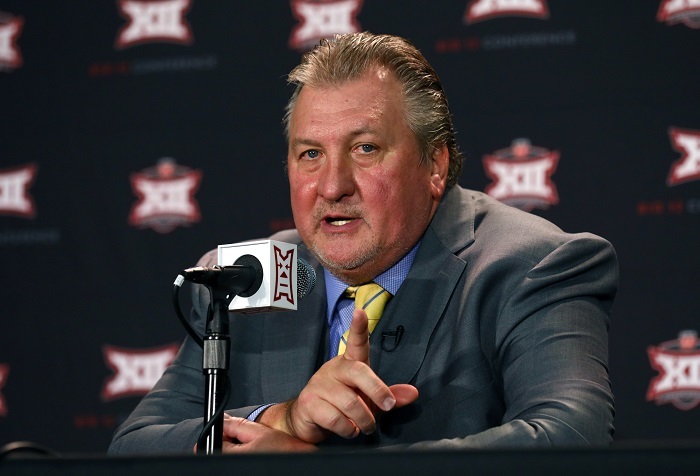 Their decision to play in the CBI was controversial to some, but it netted Huggins two more games to work with his young players. Looking ahead to 2019-20: The first year the Mountaineers were in the Big 12 in 2012-13 they went 13-19. 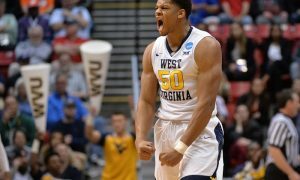 The next season West Virginia was a game over .500 and went to the NIT. The following season the Mountaineers won 25 games and reached the NCAA Tournament. 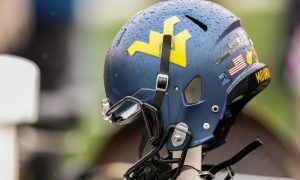 The Mountaineers’ streak of NCAA bids ends at four this season. But the future looks much more secure than it did two months ago. Culver has the ability to be a megastar in this league. McCabe, Haley and Matthews all look like the types of players Mountaineers fans love. There’s a bench deep of talent for Hugs to develop and, presumably, they’ve bought into his way of doing things. Plus, the arrival of Tshiebwe gives the Mountaineers, potentially, a power frontline with him and Culver. And what if Konate comes back for his senior year? Well that’s a nice problem to have, right? The Mountaineers need to get better from the 3-point line (not a single returning player shot 40 percent or better from distance) and their defense needs to improve. But the days of “Press Virginia” may not be necessary if these Mountaineers develop the way Huggins hopes and if Konate returns. 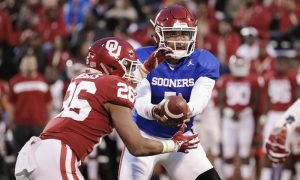 They suddenly become one of the best frontlines in the Big 12 and a real hard team to deal with.